Ka‘ahumanu was born about the year 1768, near Hāna, on the eastern shore of Maui. Her father was Keʻeaumoku (a chief of Hawai‘i Island, warrior and loyal follower of Kamehameha I;) her mother was Nāmāhana. Her siblings include Governor John Adams Kuakini of Hawaiʻi Island, Queen Kalākua Kaheiheimālie (a wife of Kamehameha I) and Governor George Keʻeaumoku II of Maui. Soon after her birth, the family moved to the island of Hawai‘i; Ka‘ahumanu spent much of her childhood in the Kaʻū district on the Big Island of Hawaiʻi. At a very young age, Kaʻahumanu was given by her father to Kamehameha as a wife; by that time, he was ruler of half the island of Hawaiʻi. She was his favorite wife. 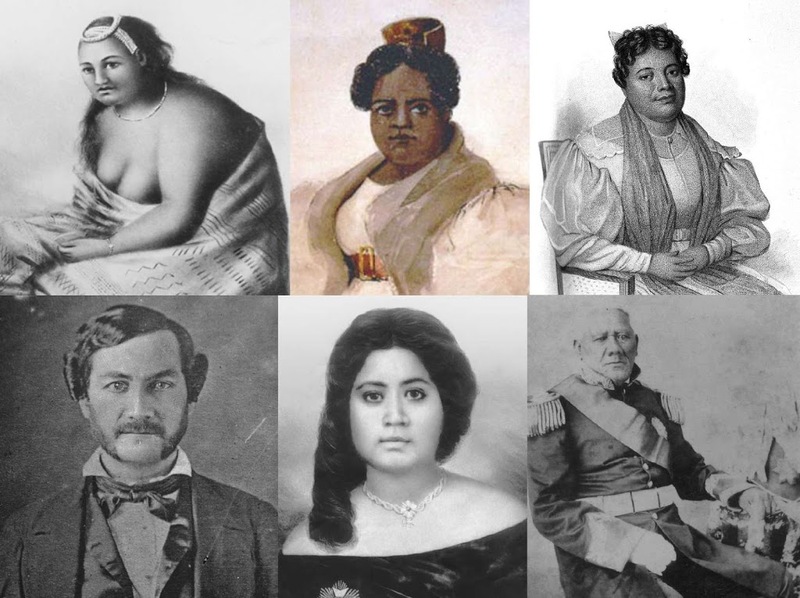 Through the years, she advised and supported Kamehameha. Queen Kaʻahumanu became more than Kamehameha’s favorite wife. She was, at one time, arguably, the most powerful figure in the Hawaiian Islands, helping usher in a new era for the Hawaiian kingdom. Liholiho accomplished this simply by eating a meal with women. When the Hawaiians saw that Liholiho was not struck down by angry gods, the entire kapu system was discarded. Kaʻahumanu created the office of Kuhina Nui (similar to premier, prime minister or regent) and would rule as an equal with Liholiho. She ruled first with Kamehameha II until his departure for England in 1823 (where he died in 1824) and then as regent for Kauikeaouli (Kamehameha III). Ka‘ahumanu assumed control of the business of government, including authority over land matters, the single most important issue for the Hawaiian nation for many generations to come. She later married Kauaʻi’s chief, Kaumualiʻi, who Kamehameha I had made a treaty with instead of fightring. On December 4, 1825, Queen Kaahumanu was baptized and received her new name, Elizabeth, then labored earnestly to lead her people to Christ. In 1826, she paid the national debt by imposing a tax payable in sandalwood, cash or woven mats. Her administrative actions would have far reaching political, social and cultural consequences for the Hawaiian nation. In May 1832, Kaʻahumanu fell ill. Recognizing that the end was near, she requested to be taken to her mountain home in Mānoa Valley on Oʻahu. She was buried at Pohukaina at ‘Iolani Place and later transferred to Mauna ‘Ala, the Royal Mausoleum in Nu‘uanu Valley. 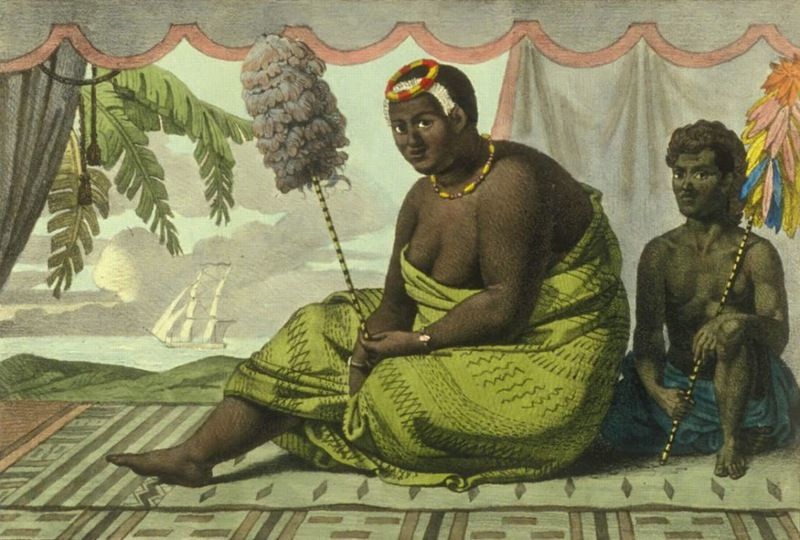 The image shows Kaʻahumanu as painted by Choris in 1816. In addition, I have added other images of Ka‘ahumanu in a folder of like name in the Photos section on my Facebook page.